I’ve been doing Krav Maga since 2009, and teaching it since 2011. I have worked as a Close Protection Officer since 2007. I found that the principles and techniques in Krav Maga have great relevance and applications when it comes to solving threats that I face in my profession. 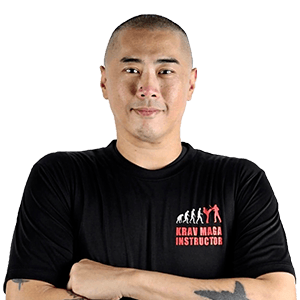 I became a Krav Maga Instructor so that I may be able to share with people how to gain the skills and knowledge to protect themselves and their loved ones.